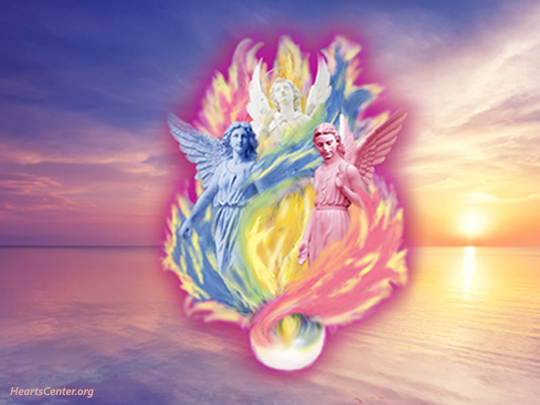 Experience new teachings and solar sciences from the ascended masters. 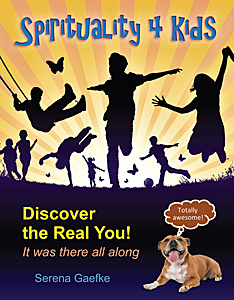 Learn keys to transform your life! They are the saints, sages and the spiritually evolved individuals from all cultures who have passed their tests, balanced their karma, and now reside in etheric realms of light. You may already be familiar with ascended masters such as Jesus, Buddha, Kuan Yin, Mother Mary, Saint Germain, El Morya and Zarathustra. 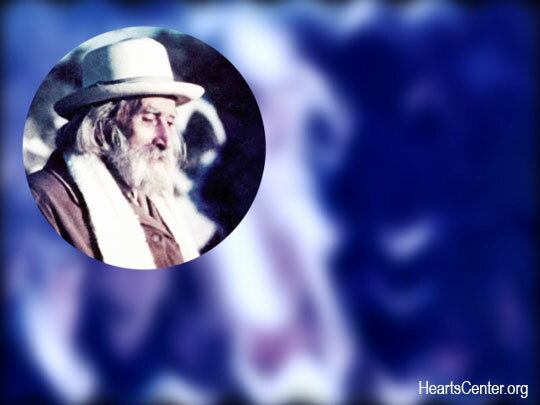 Some ascended masters had famous lifetimes, some were simple people--all are spiritual heroes! Today, the ascended masters desire to be involved in our lives. Meet in cosmic councils to create plans and projects to assist Earth's upward evolution. Have retreats we can visit during sleep or in meditation where we may study and heal. Offer wisdom teachings to deepen our understanding of the spiritual path. Bring blessings to uplift our lives, our families and communities. Perform sacred rituals that remove our burdens and karma. Work with us individually in support of our personal mission. At our events and daily prayer services, the ascended masters communicate to us through HeartStreams, light-filled messages of wisdom. And our messenger, David Christopher Lewis, receives and delivers these HeartStreams to our community and to the world. 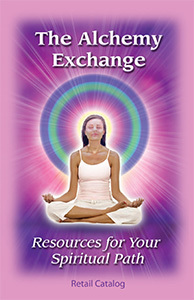 With each HeartStream, We receive insights, gifts and clearances. We are inspired, loved and nurtured. These teachings from the masters are our beautiful and sacred offering to the world to anchor light in the earth and help all life. Meet David, the co-founder and spiritual director of The Hearts Center Community. Devoted to higher truth and the ascended masters' teachings for over forty years, David receives, through the gift of locution, practical, progressive revelations from ascended masters, angels, and cosmic beings that we call HeartStreams. These messages are for the edifying of lightbearers everywhere who choose to receive them with open hearts and minds. HeartStreams may be given in various forms--some more informal than others, some as a sharing between students and the master who inspires and overshines David. These messages are either written, typed or delivered orally at the time they are received. Each HeartStream is transmitted with great love and light and often devotees feel a divine radiance in the masters' presence during their releases. In The Hearts Center, we share our love and wisdom, healing ourselves, our families, communities and world. Click titles for more information. All times MT. Please join our efforts to assemble and document any and all angel interactions and/or interventions that you, friends or family have experienced in recent memory. Our hope is to collect enough material to publish a book when ready. Include your first name and last initial with state or country for attribution. Thanks! Light up your aura with daily practices of prayer, song, pranayama, mantra, bhajan, and silent meditation. Morning services 7:00-10:00 am MT. Within our Hearts Center Community, we realize personal enlightenment through our Higher Self and share the ascended masters' teachings and our love-wisdom throughout the Earth. We live in sustainable Golden-Crystal Age communities in joy and in harmony with Mother Nature, using solar sciences of the Spirit. We radiate light, and we live and love as one. 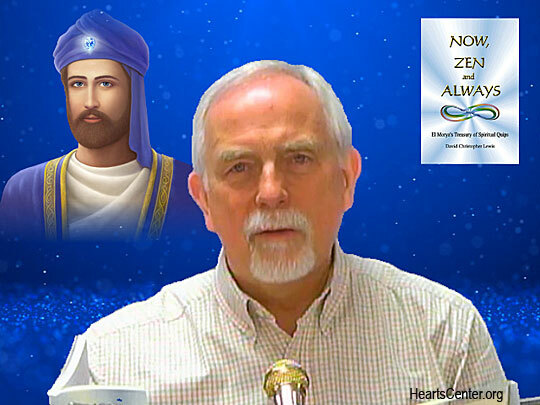 We, the lightbearers of The Hearts Center, joyfully unite to continue the spiritual work of the ages through daily and ongoing revelation from the ascended masters as given to their anointed messengers. Reaching out to serve all life, we dedicate our hearts to world freedom and to bringing forth the plans of beloved Saint Germain and Portia for the Golden Age of Aquarius—a time of peace, harmony, joy and beauty. ♥ Hearts Centers are vibrant communities of joyous companionship and love. Filled with the presence of the Holy Spirit, these centers around the globe are places where the sacred fire is invoked to transform our lives and our planet. ♥ We welcome all seekers of truth, honoring their talents and religious backgrounds as we offer spiritual practices, educational programs and community fellowship to enhance their growth in the study of the deeper mystical teachings of the world’s major religions. Our hand of heartfelt friendship is extended to one and all. ♥ We live by the Golden Rule and respect the right of each individual to decide his or her rate of spiritual progress. We champion the freedom of each individual to make independent, informed political and social choices. ♥ Learning to live with one another in harmony, with compassionate wisdom and surrender to the will of God, we humbly offer any gifts or training that we possess for the benefit of all. ♥ We speak and serve with kindness and charity. Regardless of age, culture, station in life, or financial standing, we uphold the divinity within one another so that a golden age may swiftly come. 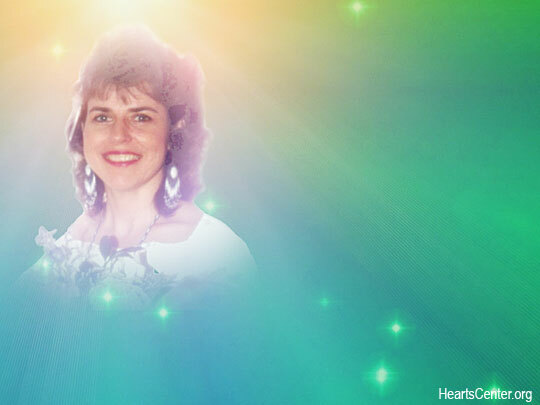 ♥ We are committed to a renaissance of beauty and culture that transforms lives, moving Earth closer to the original divine blueprint by making the gold mine of ascended master teachings readily available through all media and technology, as well as conferences, pilgrimages, healing seminars and heartstreaming sessions held the world around. ♥ We support golden age concepts of economics and energy utilization. To this end, we encourage such practices as yoga, tai chi, qigong, foot zonology, holistic medicine and the mindful eating of healthy foods. We understand the importance of cooperating with the ecology of this planet, for our physical and spiritual health are one with it. ♥ We further believe that the harmony we embody occurs through attunement with our individualized Divine Presence as we maintain a state of listening grace. In collaboration with heavenly masters, angels, and nature spirits, we are assisted in achieving ever-increasing intimate communion with God. We practice spiritual sciences such as meditation, prayer, mantras, visualization, songs and rituals to heighten our attunement and to bless all of life. And we experience sacred darshan with the ascended masters. Meru University is dedicated to the dissemination of ageless wisdom and progressive revelation through courses, seminars, workshops, publications and projects. It assists all seekers in understanding the ancient and modern teachings of East and West brought to life by commentary from the ascended masters. Our courses are an open door for our students to walk and talk with the ascended masters daily, preparing each learner to become a spiritual leader, teacher and ambassador of divine love-wisdom to the world. 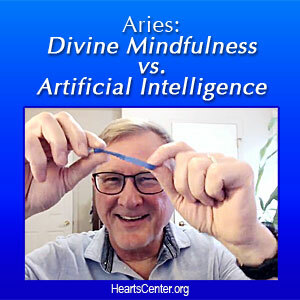 The Hearts Center promotes the mission of Saint Germain, avatar of the Age of Aquarius, and his teachings on sacred alchemy for the uplifting of ourselves and our planet. Through the violet flame, his energetic gift of spiritual transmutation, we witness the power of forgiveness, mercy and freedom. By study and day-to-day application of this flame, an aspect of the Holy Spirit, we aspire to self-transformation, which, in turn, transforms the world. At Hearts Centers, heaven touches earth and hearts connect the world around. Our beloved masters engage with us in holy exchanges of love-wisdom fires, and our cup overflows with gratitude as we live in the reality of this cosmic interchange. Our greatest joy and deepest desire is to share this elixir with all who seek spiritual freedom. Yes, love-wisdom is the elixir of The Hearts Center! Welcome to our daily broadcast services! During these services, we pray, sing, meditate and give mantras to create light streams and thought forms that help heal ourselves and our world. Physical movement to keep energies and light flowing. Some prayers are taken from ascended master messages, some prayers and songs are composed by community members, and some are spontaneous expressions of joy. Decrees are prayers and mantras for the Aquarian Age. They are rhythmic form of spoken prayer. They activate the power of the spoken word for creation and invoking light into world situations. In our services, we chant and sing our prayers, using beautiful visuals to activate the words of these prayers with our vision and feelings. It’s a multi-sensory experience! This is the sacred science of the spoken word. • The invocation. We call upon the power of the name of God as the I AM THAT I AM. Then we call by name various ascended masters to empower the prayer. • The body of the prayer. Next we offer the prayer. The rhythm and its repetition creates a pattern, a matrix of light. The rhythm also assists in helping us to memorize the prayer. We may choose, or feel led, to speed up the prayer. This acceleration may intensify the light action as long as we remain in our hearts, focused on the meaning of the words and our visualizations. • The closing. The wording of the closing allows us to accept the energy invoked as now manifest in the physical world. The masters see the world situation from their vantage point in cosmic heights. At times they may request we give certain prayers for a world situation. Through our vigils, services and events, we mitigate wars, reduce pollution and receive new insights. We heal families, communities and governments. With our heart-felt mantras, songs and prayers, we bring illumination and inspiration to the world. Email friends@heartscenter.org with questions, comments and timely prayer requests. Also submit prayer requests here: Prayer Team. The Buddha Nature Chart is the blueprint of your true identity. Learn new skills, make new friends, share the light and love of the ascended masters! All skill levels welcome. Invoke God's light for those requesting prayer support. Join our prayer team of heartfriends ready, willing and able to invoke heaven's light into the lives of those submitting healing requests online and via friends@heartscenter.org. To become a member of our team email Donald at prayer-requests@heartscenter.org. Prayer and Song Page: Find many rosaries on this page with audios, words and a few videos.